Most of the big movie studios and many online movie retailers are preparing to launch a new initiative tentatively called Open Market, first proposed last year by Sony Pictures, we’ve learned. All of the major studios besides those associated with Walt Disney are already on board and will be part of the announcements made next month. 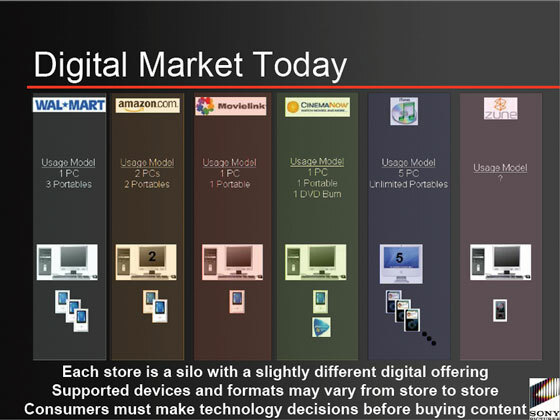 Sony Pictures CTO Mitch Singer’s presentation to industry participants supporting Open Market is available here. 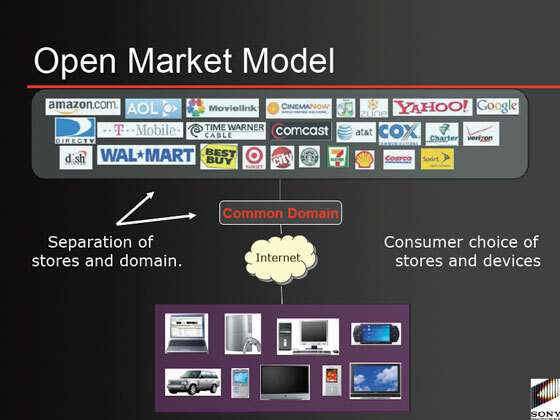 Open Market is a set of policy decisions and a software and services framework that will allow interoperability of various formats and DRM schemes that are currently splintering the market. That splintering locks users into a single store and format, and is putting a stranglehold on widespread adoption of movie sales online. Multiple sources have indicated that the studios are putting their weight behind the initiative to avoid the fate of the music industry and as a last ditch effort to stop or slow non-DRM movie sales. The industry has been flat out unable to agree on DRM interoperability (the Coral Consortium was the primary hope in this area and has largely stalled). Instead, Sony Pictures proposed Open Market, which will allow play anywhere functionality more from a policy perspective and less from any technical fix to make DRM schemes interoperable. A key part of Open Market will be a neutral third party to manage device registrations and movie purchases/rentals to ensure interoperability. This “domain” provider will manage services that let users register devices (PCs, televisions, mobile devices, etc.). Any movie purchased from any service provider can then be watched on a registered device. Supposedly a whole slew of companies are supporting the effort. Fox, Paramount, Sony, Universal and Time Warner are on board. Retailers like Amazon, Target, WalMart, Comcast, MovieLink and CinemaNow are also said to be participating. Notably absent is Apple and the various Walt Disney studios (Pixar, Touchstone, Miramax, etc. 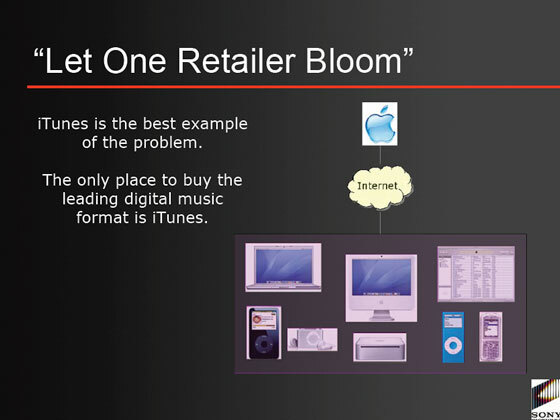 ), which are strongly backing the iTunes/Fairplay scheme.